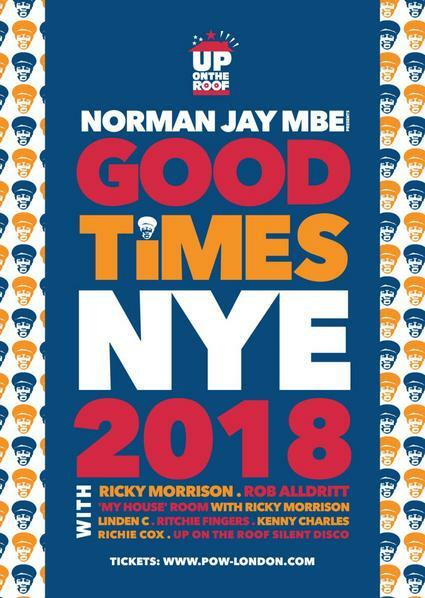 After the sell-out success of last year, we welcome back on NYE, the one and only Norman Jay MBE, this time bringing his Good Times Soundsystem. As the Carnival godfather, Norman Jay MBE and his Good Times Sound System has entertained and educated revelers since the 1980's, bringing new soul, hip-hop and house music to the masses. The founder and master of funk and soul is bringing his legendary Sound System to the Prince of Wales on NYE. The irrepressible Good Times vibe will be taking over Brixton on New Year's Eve to show south-siders how it’s done, Carnival style. One of the UK's most respected house DJs & producers, Ricky Morrison supports Norman - Ricky has been breaking beats since it all began in '86, he has earned a reputation for delivering big performances and big records, most notably 'M&S Salsoul Nugget' which was a UK chart hit back in 2001. 'My House' host the Hotel Room with Ricky spinning a 2nd set, support from My House head honcho Linden C, Richie Fingers & Kenny Charles.